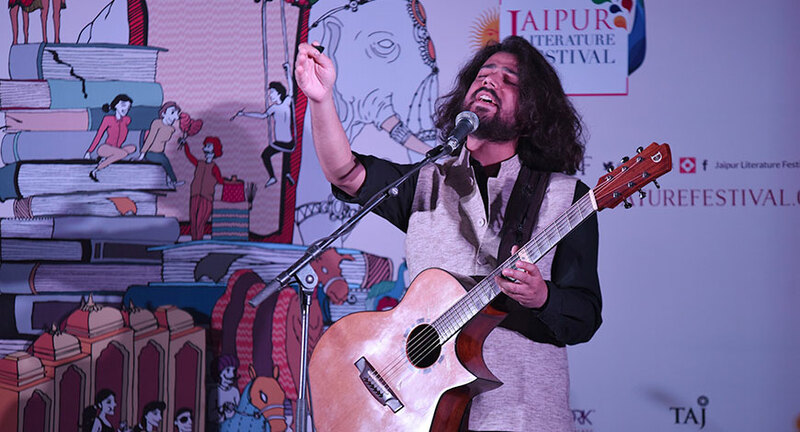 An evening of dramatic readings and music in the national capital on 13 December marked the countdown to the world’s largest free literary gathering, the ZEE Jaipur Literature Festival 2017. The event at the Taj Mahal Hotel, New Delhi was packed with publishers, authors and supporters of the festival, media and the literati. Co-directors Namita Gokhale and William Dalrymple shared their insights into the themes and authors participating at the annual carnival of the mind to be held from January 19th -23rd, 2017. Namita Gokhale, writer, publisher and Co-director of the ZEE Jaipur Literature Festival, said, “We live in times where the cycles of change are puzzling, often disruptive. Books are the answers to these puzzles, literature is the force that links and binds human stories, and contemplates the human situation. In an increasingly parochial and polarised world, literature helps us scale the walls. And translation is the tool that helps us access cultures and knowledge systems. The programme for the ZEE Jaipur Literature Festival 2017 will touch upon a multitude of ideas and themes including a look at the nation, Freedom to Dream – India at 70 which explores India today in the context of its history as well as its future, Translations and World Literature, Women and Marginalised Voices, Sanskrit, and Colonialism and the Legacy of the Raj. A new partnership with the British Library brings a facsimile of the Magna Carta to India and to the ZEE Jaipur Literature Festival to put on display as part of a programme highlighting Magna Carta: The Spirit of Justice that looks at the legacy of the important famous treaty. As part of the partnership the festival finds its new home in the UK and the ZEE JLF @ British Library will be held on 20-21 May, 2017. Another partnership with the Museum of Modern Art (MoMA) brings in a discussion on Citizens and Borders: Migration and Displacement based on a series of discrete projects across The Museum of Modern Art in New York, related to works in the collection offering a critical perspective on histories of migration and displacement. Given the international demographic of both the Festival’s visitors and speakers, title partner ZEE Entertainment continues to support the festival, fitting well with their vision, “Vasudhaiva Kutumbakam” (The World is My Family). Cox & Kings have come on board as venue sponsors for the first time taking a bold move as a tourism based firm investing in a key cultural property, the ZEE Jaipur Literature Festival. Other returning partners include The Aga Khan Foundation, AVID Learning, the Getty Foundation and supporters Penguin, BBC History Magazine and Ambit. Continuing their longstanding support of the festival are the Jan Michalski Foundation, The Glenlivet, Kingfisher and Full Circle, who will manage the Festival Bookstore. The evening featured a programme of music and words titled Bhakti: Resilience, Resistance and Resonance. This evening of joyous musical performances with powerful dramatic readings and translated renditions was performed by Arundhati Subramanian, Harpreet Singh, H.S. Shivprakash and Parvathy Baul. The Australian High Commissioner to India, Harinder Sidhu used the platform of the Delhi Curtain Raiser to announce JLF Melbourne, a pop up edition of the Festival in February. The Melbourne Writers Festival joins forces with ZEE Jaipur Literature Festival to present JLF@Melbourne, an exciting pop-up festival with a difference which will be a celebration of the written and spoken word, featuring internationally acclaimed writers and thinkers from India and Australia. In an extraordinary presentation of talks, performances, music and poetry at Fed Square, JLF@Melbourne will be an exploration of culture, migration, identity and gender issues, politics, the environment, travel and history. Connecting South Asia’s and Australia’s unique identities, the festival is set to bring ‘the greatest literary show on Earth’ to Australia’s City of Literature as part of Asia TOPA. In association with the ZEE Jaipur Literature Festival, the fourth edition of Jaipur BookMark was also announced. The Jaipur BookMark this year opens a day earlier and then runs alongside ZEE Jaipur Literature Festival in the same venue, the Diggi Palace Hotel, 18 – 23 January. Jaipur BookMark is a dynamic forum for the global publishing industry, with seminars, talks and discussions focused on the emerging South Asian books and allied markets. The event also creates a unique platform for publishing professionals from across the world to come together and connect with their South Asian counterparts over issues facing the industry as a whole. The main focus of JBM 2017 continues to be translation and exploring how to ensure South Asia’s translated stories make it to readers around the world. Online Registration for the Festival is free and open to all. All visitors must pre-register on the Festival’s website at www.jaipurliteraturefestival.org.